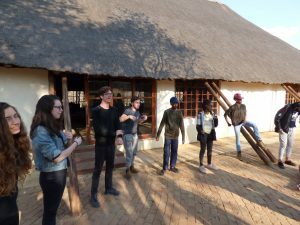 After working tirelessly since the beginning of the year we, at Netzer South Africa, are pleased to announce Winter Camp 2018 – Winter Machaneh Anachnu ha’Atid! Anachnu ha’Atid means “We are the Future” and is entirely fitting for our annual leadership camp where we will strengthen the skills of our wonderful Kids. If you are an interested Parent or a Channichim sign up here! Please note that the completion of one form means that one individual has been signed up. Are you interested making a donation towards Winter Camp? All contributions are massively appreciated and go towards the costs of the beautiful site, delicious food, fun activities and all other running costs. If you are interested please follow the link here to find our banking details. Your support is greatly appreciated!